Cairo, January 3rd 2011. 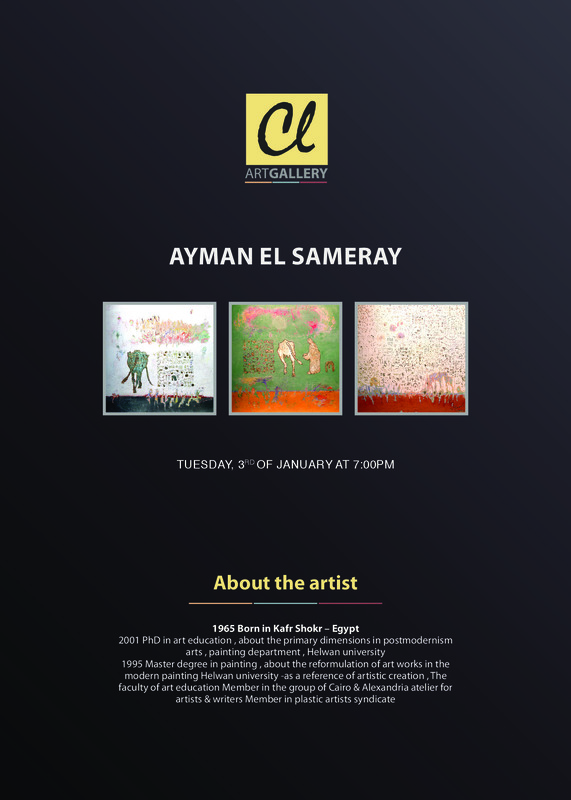 Celebrating Kempinsk's European heritage and appreciation of fine art and culture, Kempinski Nile Hotel's Chocolate Lounge will premiere a special art exhibition, for Egyptian renowned Artist AYMAN EL SEMARY the Hotel's Chocolate lounge, Cairo's only art cafe & in conjunction with ZAMALEK ART GALLERY. Artist Ayman El-Semary is currently preoccupied with a visual project on a two-dimensional imaging surface through following up the colors on which time has left a deep uniquely private impact. The artists grew up in the Nile Delta area and noticed the brightly colored walls of rural houses, which as time passes by, turn into thin layers of colors influenced by the bright sunlight. As a result, parts of such colored walls fall on the ground to leave parts which function as an evidence on the historic touch on what is left on the walls of drawings, scratches, and sometimes graffiti with which the artists had coexisted to the extent that it formed his conscience and provided him with a rich source of imagination and creativity. This exhibition tackles the concept of absorption of historic barriers and continuation of the human print on the sites which receive the time impact, viewing a new technology through abrasion and drill in the depth of the imaging surface to simulate the wall surface and for the artist to later put his elements and ideas on it.